This is where the Beaver River becomes the Canadian River in northern Texas near the Oklahoma Border. 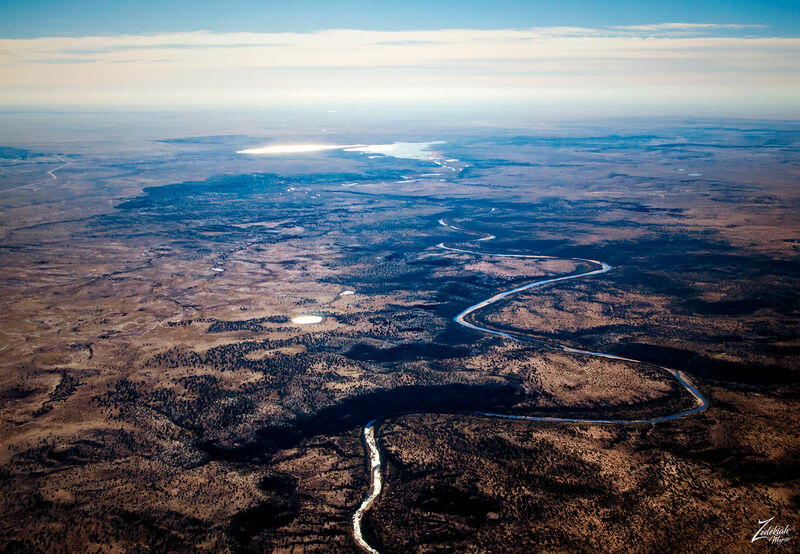 The antecedent of the Beaver River is Corrumpa Creek, which has a north branch and a south branch both originating from the slopes of Sierra Grande volcano southwest of the town of Des Moines, New Mexico, converging downstream at Weatherly Lake, a reservoir in Union County, New Mexico. 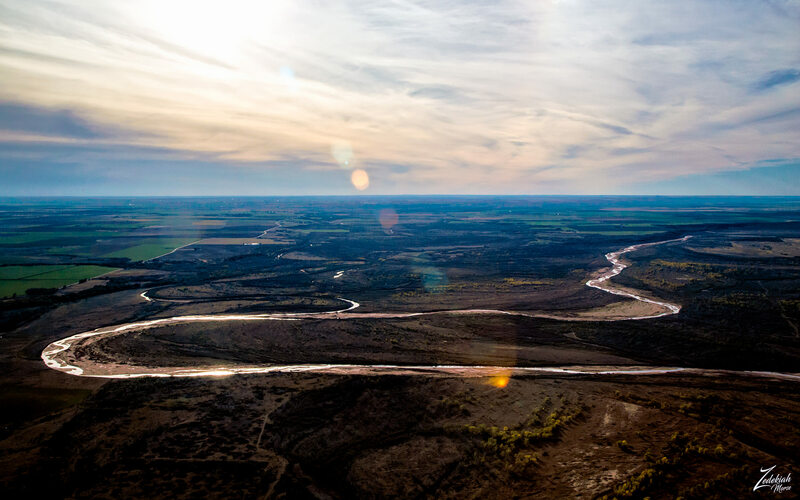 After the New Mexico/Oklahoma border, Corrumpa Creek is joined by Cienequilla Creek (also known as Seneca Creek) 4.5 miles (7.2 km) northwest of Felt, Oklahoma, after which it begins as the Beaver River. The name arbitrarily changes downstream, the USGS topographic maps mark the stream either “Beaver River” or “North Canadian River”. At Fort Supply in Woodward County, Oklahoma, Beaver River ends at its confluence with Wolf Creek after which it continues further as the North Canadian River.